Chicago, IL - In the final day of its annual meeting, the Assembly agreed to issue two statements—one on the Church’s unchanging position on marriage and one expressing grave concern over the escalating violence in the Middle East. The Assembly also released a message to the faithful on the conclusion of Assembly IV. In other business, the Assembly voted unanimously to re-elect Bishop Basil as secretary and Metropolitan Antony as treasurer. 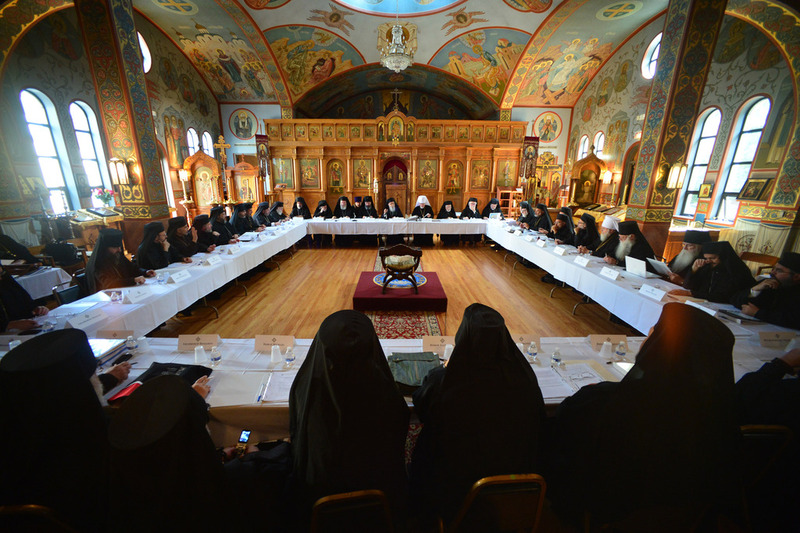 Archbishop Demetrios recognized and commended them for their devotion to the Assembly over the past three years. The Assembly also reviewed and approved the 2014 budget. The Assembly expects to hold its next meeting in September 2014. More documents pertaining to the Assembly, including the minutes and 2014 budget, will be forthcoming on the Assembly's website.